“The design took its inspiration from traditional ‘City of London Liveries’ protecting the professionalism of key trades (e.g. the candlestick maker, butcher, baker) and added a contemporary twist. 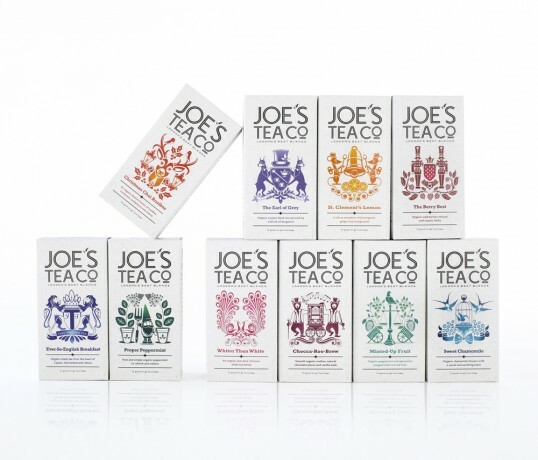 Led by Echo’s in-house designer and illustrator James Pearce, a range of ‘Joe’s crests’ were created to characterise individual flavours and enhance the expertise behind each blend. 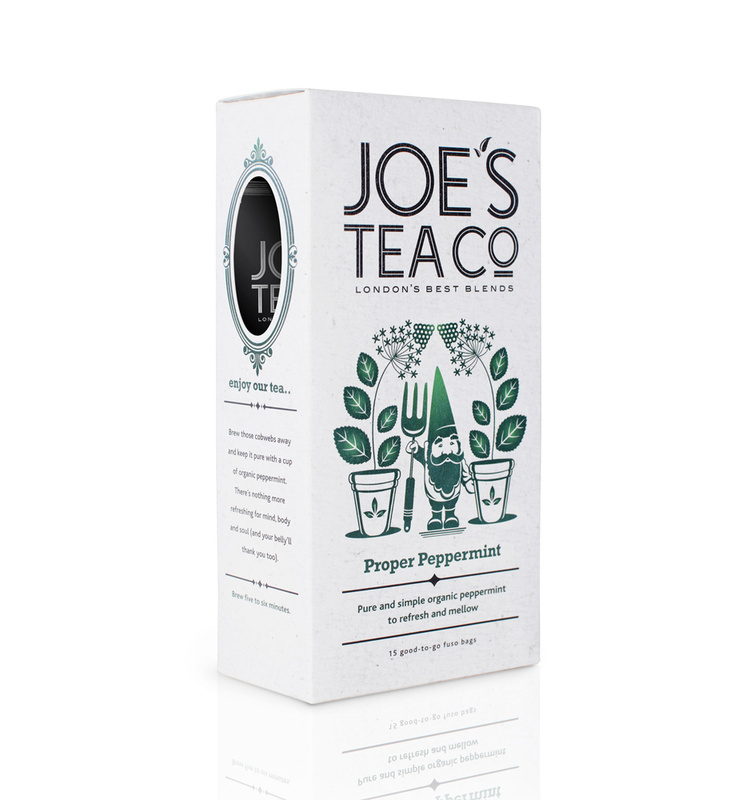 A cut-out on the side of the packaging allows a glimpse of the whole leaves Joe uses to maximise flavour and creates a window into the heart of Joe’s Tea where the illustrations continue with a bespoke ‘Joe’s Map of London’.